You don't need to know WHY they rejected you. Just know that if someone rejects you for ANY REASON at all that they're wrong for you. Liberation start on the very day you incorporate words like NO, ENOUGH, STOP and NO MORE into your life. When we reject people because they are different, we deny them the respect they deserve as human beings and make a statement about our own character in the process. We also miss out on the opportunity to get to know what they have to offer as individuals. The only reason I would accept any change is to become a better person, else, I would reject it. Don't mistake God's silence for rejection. Impatience is man's worst enemy. God's time is the best. In most cases, the regret for not telling how you feel is more devastating than the rejection itself. It hurts so bad to be ignored or rejected by that only person who means the world to you. The word rejection was coined in 1415, with the original meaning being “to throw” or “throw back”. Rejection basically refers to social negligence when a person gets excluded from a group on account of behaviour or amateur deeds and actions. 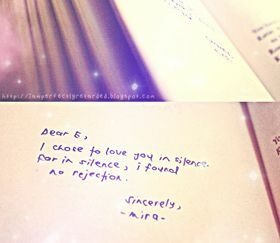 Rejection is very disappointing since it makes one feel solitary, lonely and depressed. As a social being, man loves to socialise and hang out in a group. Rejection from any friend or near and dear ones, hurts the maximum. In zoology, rejection is called the shunning of one or more animals in a litter. Rejection sampling is a technique used in mathematics to generate observations from a distribution. Transplant Rejection, in medicine, is the immune reaction of a host organism to a foreign biological tissue.